Every time you or a passenger enters your C7 Corvette, your delicate paint is at risk. 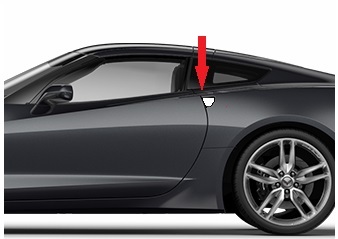 Protect your C7 Corvette's door handle coves from rings, jewelry, finger nail scratches and that one time you forget to take something out of your hand with Cleartastics 2014-2018 Corvette exterior door handle cover protectors. All Cleartastic kits have a unique precision pre-cut design to perfectly match the bodys contour creating an invisible barrier. Plus the films incredible flexible characteristics, makes all Cleartastic kits very user friendly! So easy, you can apply it yourself! There is nothing like Invisible paint protection. There is nothing like Cleartastic.